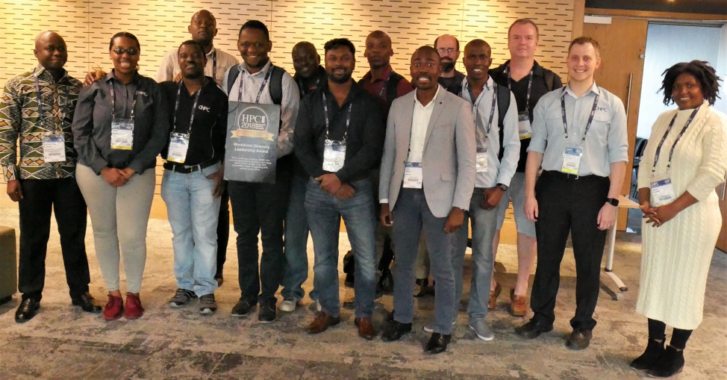 Fifteen delegates from six countries attended the African HPC Ecosystems birds-of-a-feather session during the Centre for High-Performance Computing’s (CHPC) National Conference in Cape Town, December 2-5. 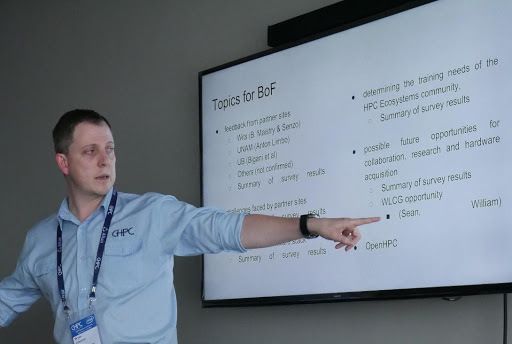 The HPC Ecosystems project is led by Bryan Johnston (CHPC Advanced Computer Engineering (ACE) Lab Senior Technologist and Lecturer), who also led the BoF. 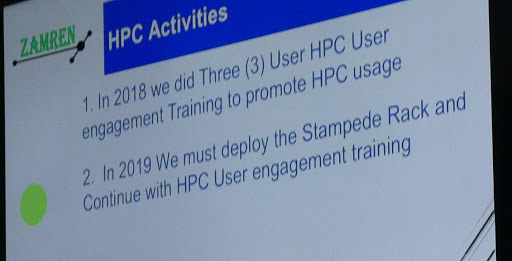 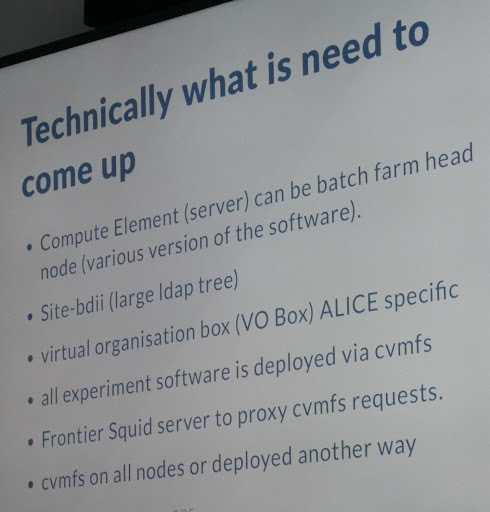 The project was formed when large, X86-class HPC systems were decommissioned by the University of Texas-US (UT) in 2012 and 16, University of Cambridge in 2014 and CHPC in 2015; the hardware was then donated to Johnston’s team at CHPC who split them into smaller, two and three-cabinet, stand-alone clusters. 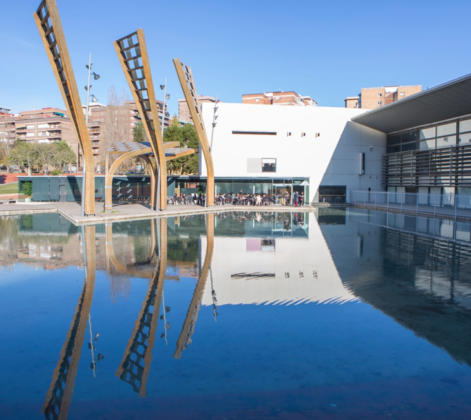 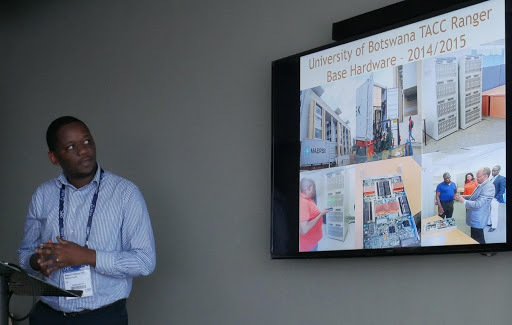 The refurbished systems, and a supply of spare parts, were distributed to 18 data centers in a dozen countries where they continue to live a second life in a workforce development and light research capacity. 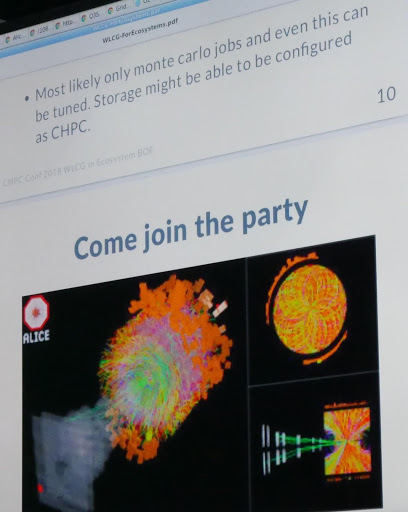 At the BoF, Johnston conducted a short survey to gather issues and concerns those in attendance hoped to illuminate. 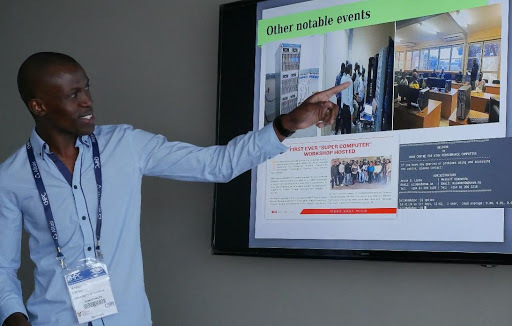 Site updates were heard from Brian Maistry and Senzo Mpungose (University of the Witwatersrand); Bigani Sehurutshi (University of Botswana); and Anton Limbo (University of Namibia). 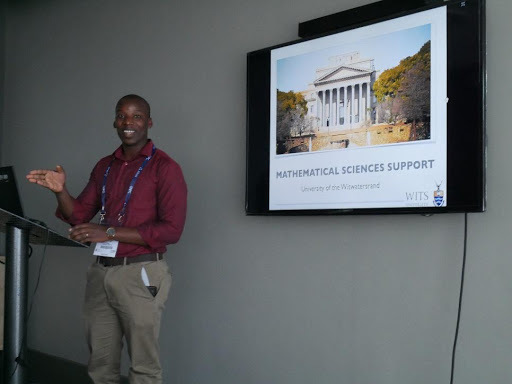 Anton Limbo represented both the University of Namibia (UN) and Namibia University of Science and Technology (NUST). 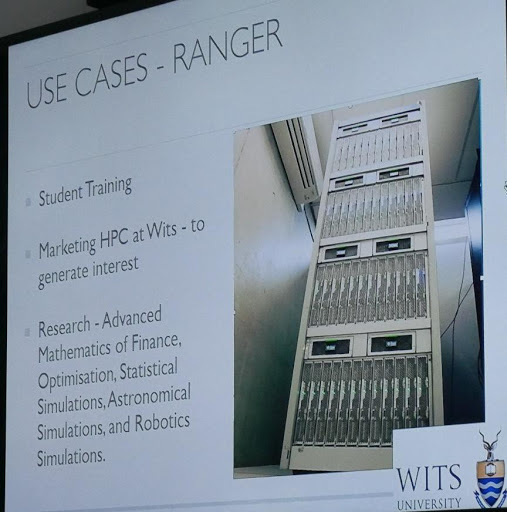 Both campus data centers host Ranger racks and will be receiving Stampede hardware in 2019. 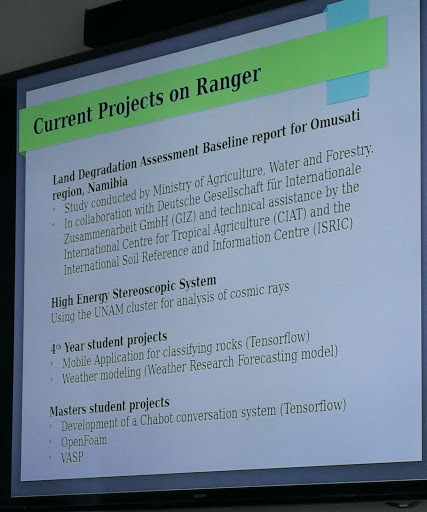 Namibia is one of five Square Kilometer Array (SKA) “Readiness” sites. 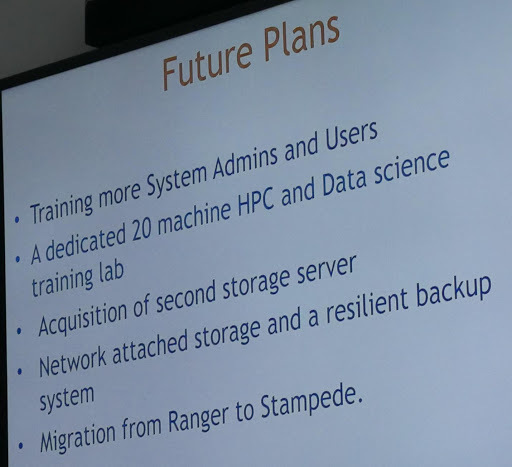 They use Ranger for workforce development, and Stampede will be used as an operational resource to serve a variety of research applications. 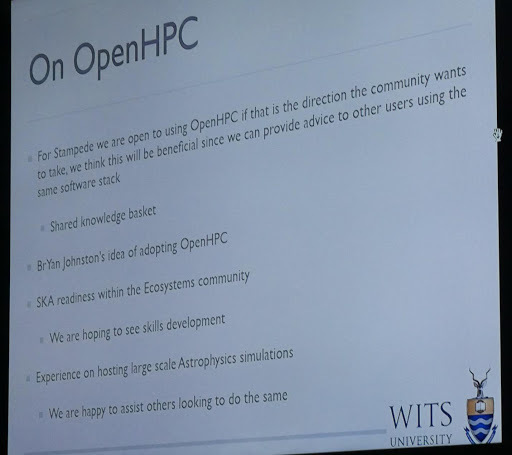 Elizabeth Leake (STEM-Trek) noted that Anicia Peters, Dean of the Faculty of Computing and Informatics at NUST, who participated in the Southern African Development Community (SADC) HPC Experts Forum that was co-located with the CHPC Conference, testified that NUST is incorporating advanced HPC coursework into the general computer science curriculum. 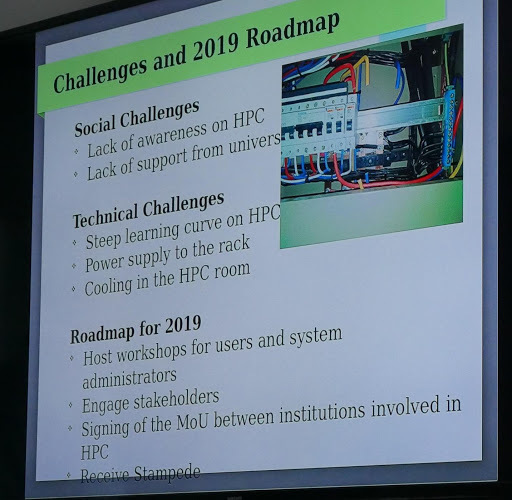 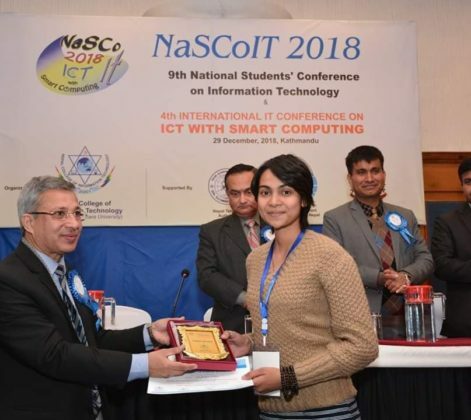 This will help expose a broader range of students and prepare them to use and support the hardware, and for careers in HPC. 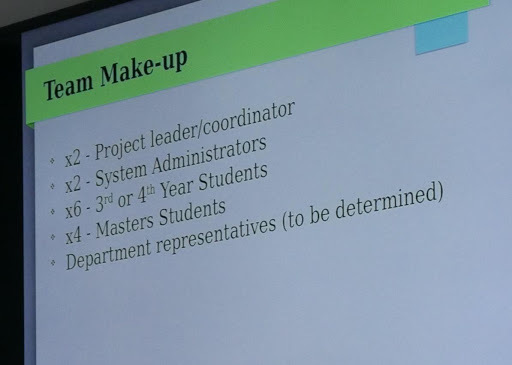 Leake asked delegates to prepare brief (300-350 word) science highlights that showcase how the systems are being used. 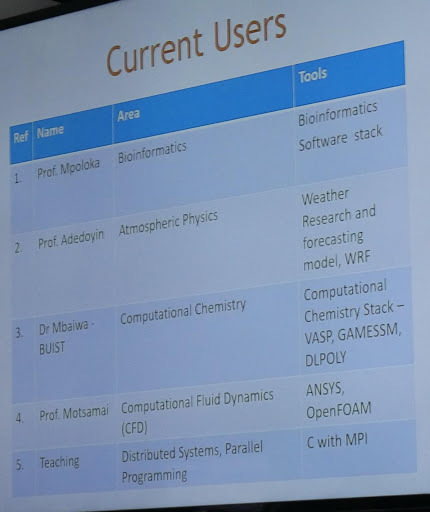 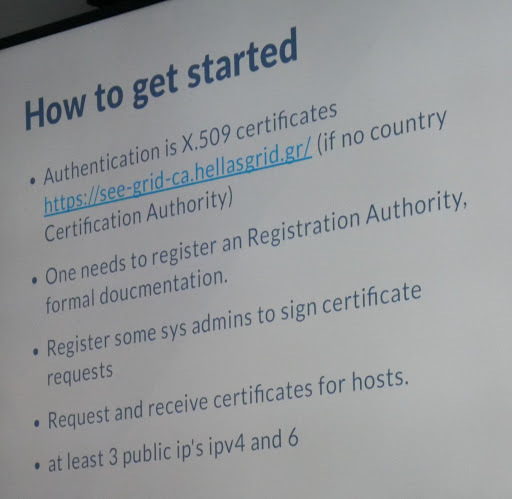 Be sure to capture images if they’re available, and if research is published, note where and by whom, and cite the computational resources used. 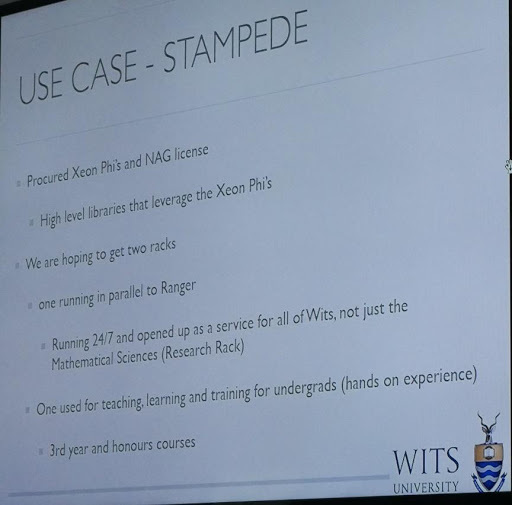 For examples, visit the original Ranger highlights. 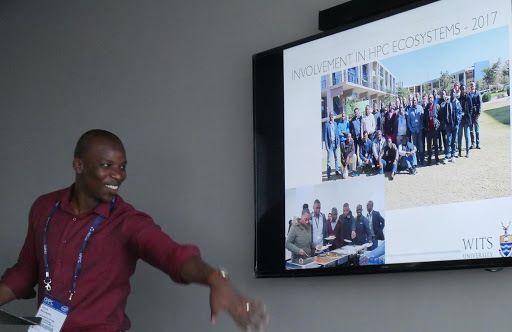 Please send draft highlights to Leake who will edit them, and provide them to the SADC HPC Experts Forum for reporting purposes (preferably before May). 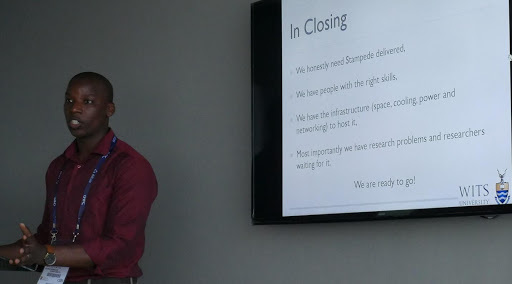 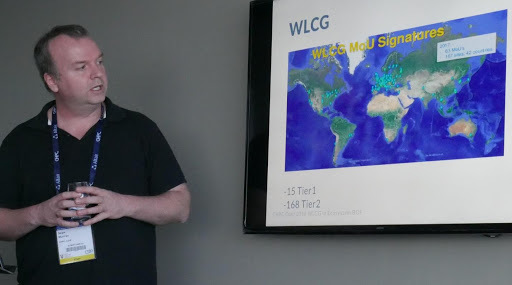 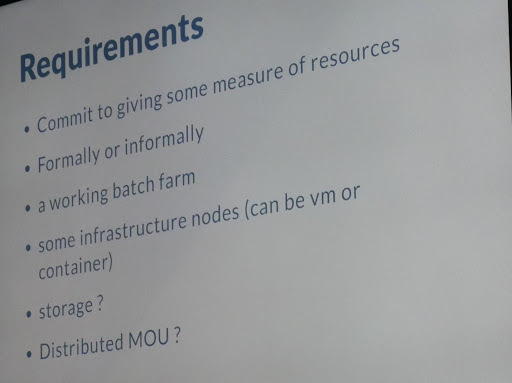 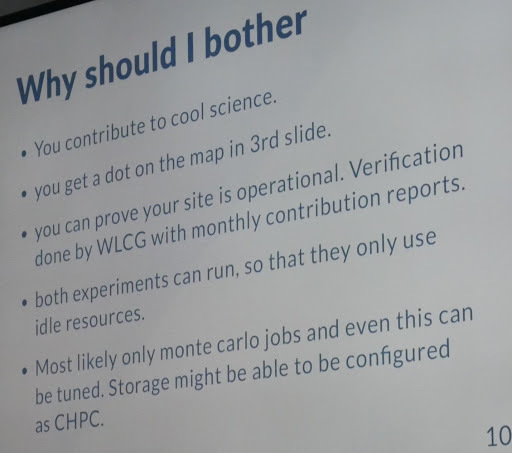 Sean Murray from the European Organization for Nuclear Research (CERN) and CHPC presented on the topic of resource-sharing that would allow Ecosystems clusters to be opportunistically engaged by CERN’s Atlas and Alice project stakeholders around the world. 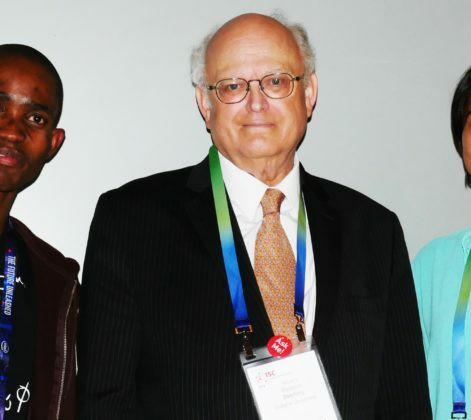 ISC Travel Grants: Young Researchers and Students Apply by Feb. 15!